New students can try their first 2 lessons free! Jung Moo is Korean for ‘The Right Way’. 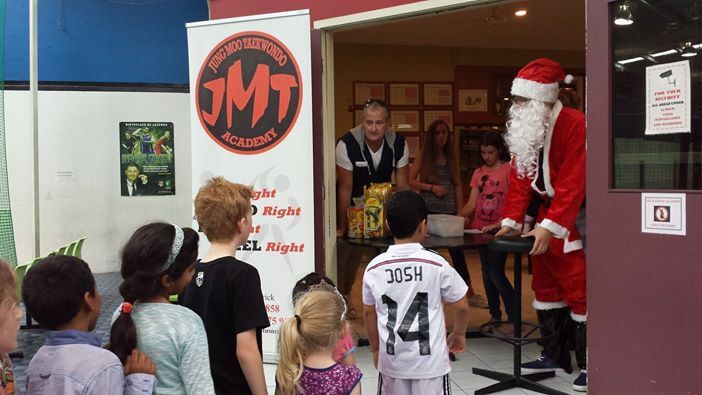 Jung Moo Taekwondo Academy offers students knowledge, encouragement, fitness, self-defence and awareness, team spirit and much more! We’ve been in Werribee and Hoppers Crossing since 1980. 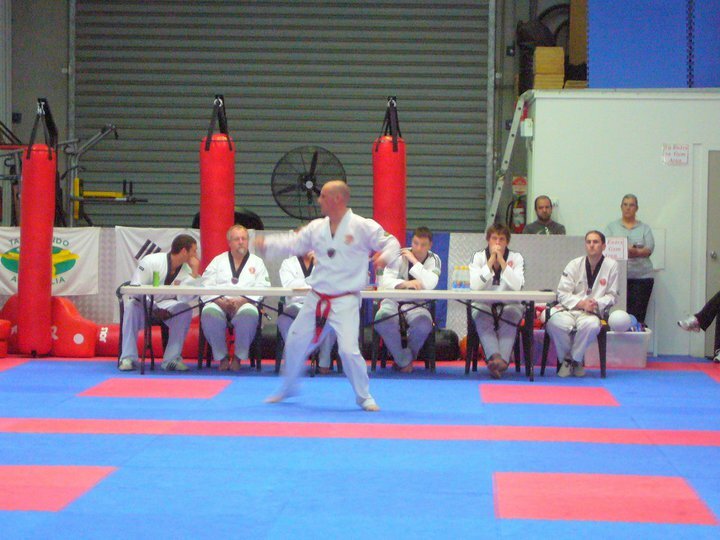 We’re Werribee’s oldest taekwondo club! Classes are available from ages 5 to adult, beginner to advanced. We have the best rates in the Wyndham and Hobsons Bay area. Pay per lesson, by the month or per term. Find out why we’re the most family-friendly club around. Get fit and healthy while making friends. 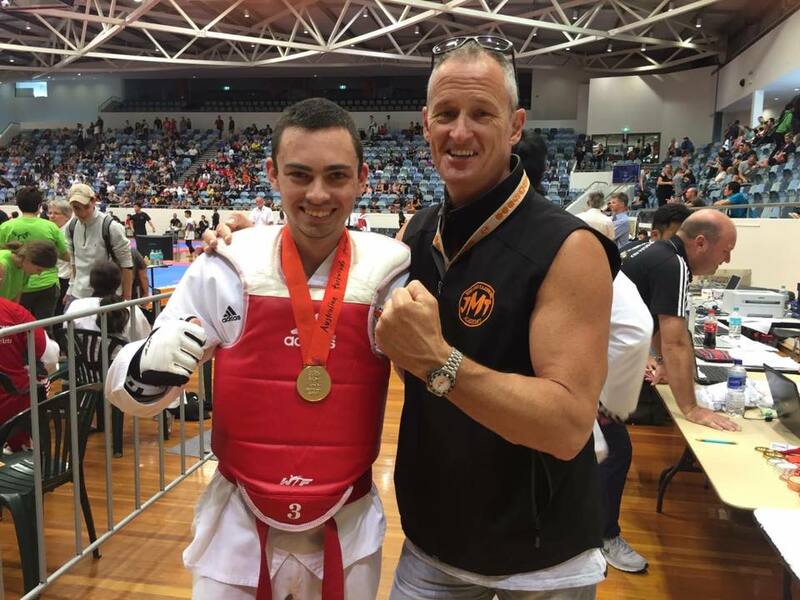 Jung Moo Taekwondo student wins gold at state open tournament, March 2016. Well done Timmy! 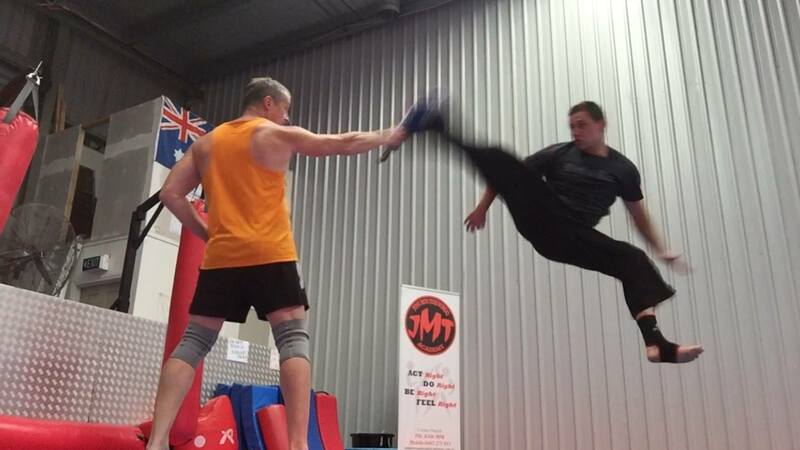 Nas Bunjaku has been down at Jung Moo Taekwondo’s Hoppers Crossing club to finetune his kicking technique in preparation for an upcoming kickboxing tournament. Congratulations to all our new black belts, posing here with some of our experienced black belts and instructors at our Hoppers Crossing taekwondo dojang. Becoming a black belt was a long journey and not always an easy one. But the club is so proud of your efforts along the way and your success. 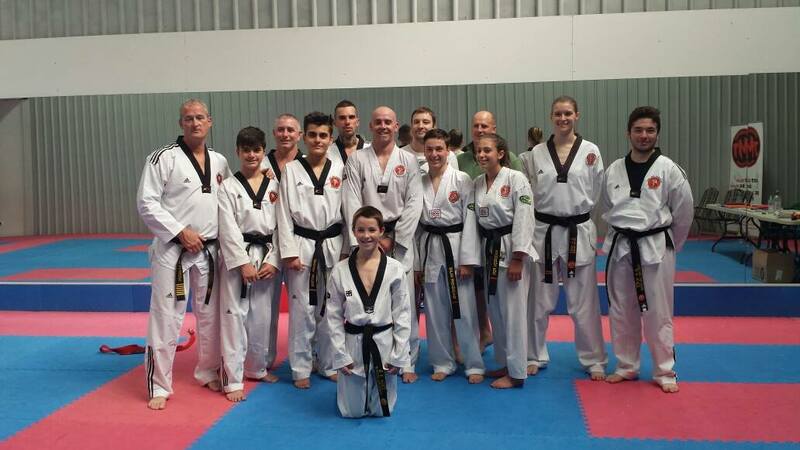 Our new black belts are now leaders at our club, inspiring all our other students. Our award for Club Member/fighter of the Year went to Paul Konski. Well done to everyone and good luck for this year. 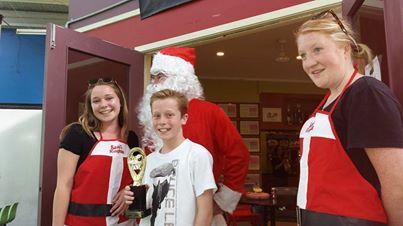 Congratulations to all the students who earned trophies at our recent Christmas party. Ronan is club member of the year – well done Ronan! The Bev Walker Cup (Koryo Taekwondo) is coming up soon. We’re running extra poomsae classes on Wednesday evenings for those students participating in the comp, but also for anyone else who’d like to improve their technique. 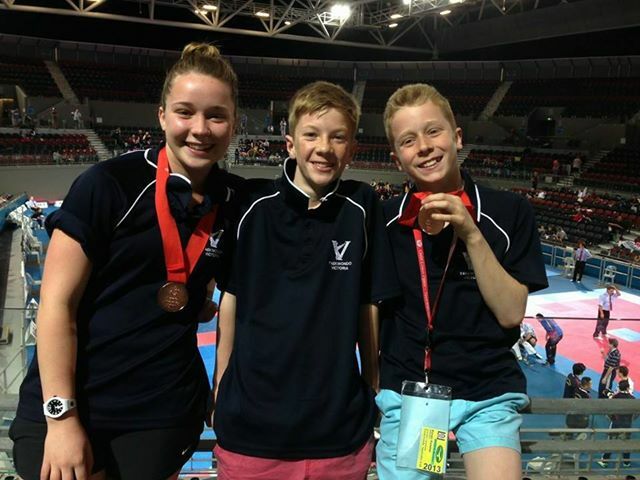 Congratulations to the Jung Moo club members who competed at the Nationals in Brisbane. Shenae and Ronan got Bronze. Jack got fourth. Well done!! !